You can use this estimator to get an idea on the cost of conversion. Choose audio files, CDs, or both! Please feel free to contact us or come by our office for more information. How many records do you want to digitize? Includes record speeds of 33 1/3, 45, and 78, and both sides of the record. One drive can hold many files. Choose MP3 or WAV. Audio files can be shared or edited easier than CDs. Each record will be on its own CD. You will receive a private link to download your files. Once downloaded, you can post, share, and edit. Prices are for 33 1/3, 45, and 78 speed records (both sides). You can choose MP3 or WAV files. For files, you can choose individual files or a single long file. For Audio CDs, you can choose multiple tracks or a single long track. File names and disc prints will be based on labels on originals or your requested text. Average size orders are normally completed in three to five business days. For estimating only. Other prices may vary. Sales tax and return shipping not included. As classic as the suit and tie, LP vinyl records are a great way to listen to vintage music with amazing quality. However, if you don't have a turntable or want to take records on the go, you're out of luck. 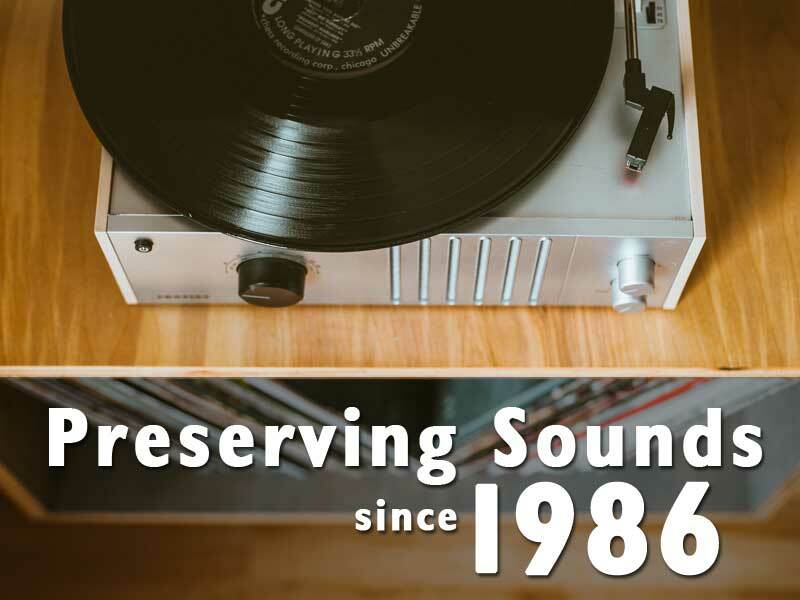 With our help, you can preserve that timeless music and play it anywhere with a push of a button! 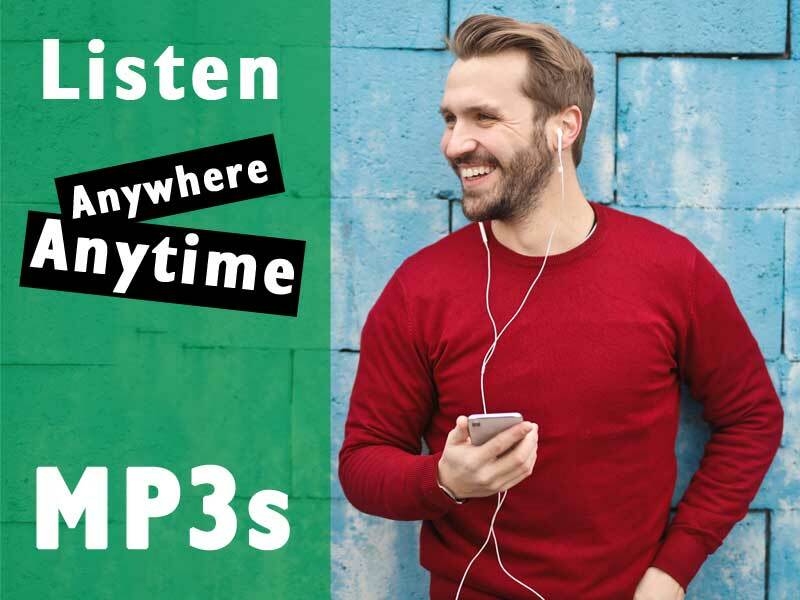 Whether you prefer an Audio CD or MP3, we've got you covered. Regardless of the record speed (33 1/3, 45, or 78 rpm), we can turn them into something you can still enjoy! First, we start by physically cleaning your records to remove as much dust as possible. Second, we capture your record into one of our editing systems. 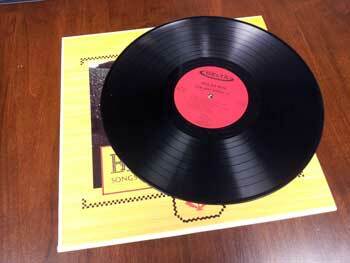 Next, we digitally clean the audio to remove and reduce the pops and crackles that normally come with old records. Check out the samples below! These cleaning procedures are done at no extra charge. Lastly, we make your choice of either an Audio CD or MP3 file. Since all conversions are completed in our office; your records are safe! You'll have peace of mind knowing that the people you speak to (or email) will be the same people working on your records. Please feel free to ask questions. 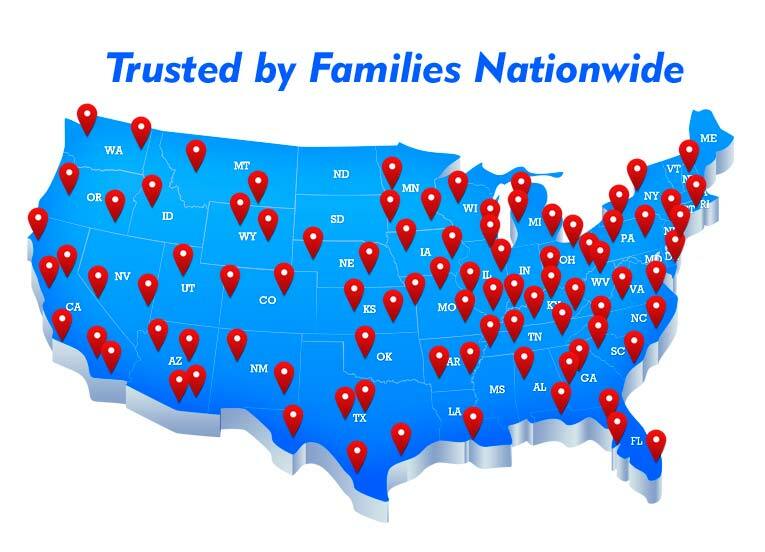 After 30+ years of converting old media, we know a thing or two and are happy to help. Song performed by Frankie Schenk and Orchestra. Audio files can hold hours of content in one file. For recorded music, an individual file can be created for each song. This is dependent on gaps of silence between songs. For live music, individual song files may not be as accurate due to crowd noise. WAV files are higher quality and are recommended if you plan to edit your audio. Audio CDs can only hold about 80 minutes. For recorded music, CD tracks can be added if desired. For voice recordings, we recommend a single track. Audio CD files cannot be copied off and used. However, you can use software to rip the CD and create audio files. CDs can be custom printed with your text and include a space-saving CD case. My record looks dirty and may have some scratches. What can be done about that? 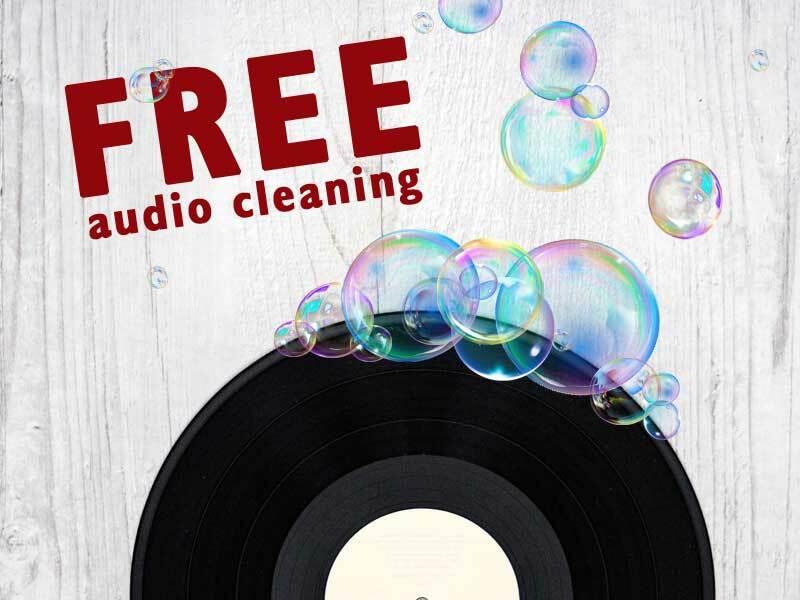 We physically clean each side of your record. Then after capturing the audio, we use software to "clean" the audio. Often the pops and crackles associated with playing vinyl records can be removed. Every record is different and the results will vary. In general, most record conversions turn our very well. I want audio files. Do I want MP3 or WAV? MP3 files are the most common choice. They are smaller in file size and virtually the same quality as WAV files. If you plan to edit the audio, WAV is a good choice. WAV files are roughly 10x larger in file size than MP3 files. Can you convert old 78 speed records or 45 speed singles? Yes, we can convert 33 1/3, 45 and 78 speed records. If you aren't sure of the speed, no worries. We can handle it! Will the conversion be in one long file or sections? Your choice! For speaking, often one file (or one track on a CD) is easier to use. However for music, individual MP3 files are a common choice. Each song will be in its own file (or track for an Audio CD). Tell us about your project and we will be happy to suggest an option. How do I get the audio files? There are two options. 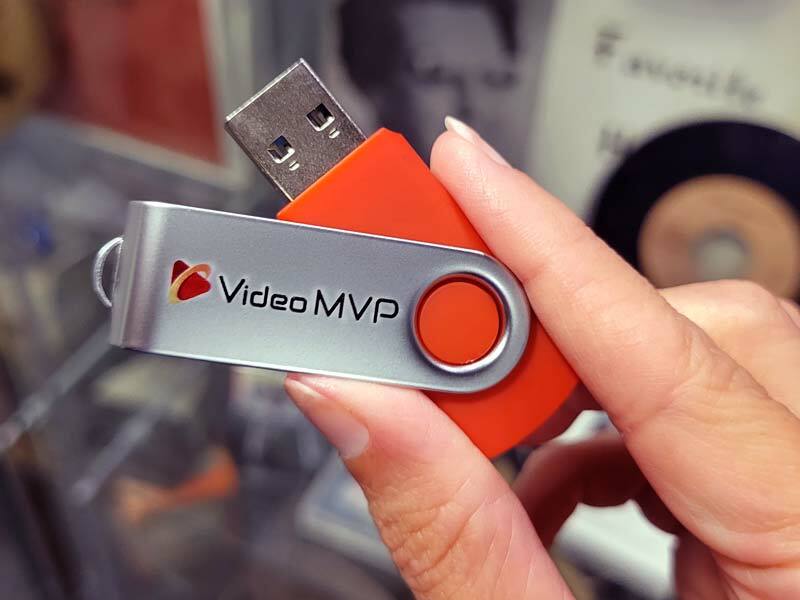 You can choose a USB thumb drive or Digital Download. For the USB drive, we will copy your files to the drive and return it along with your media. If you prefer the Digital Download, we will upload your files to a secure location and email you a link so you can download them to your computer. This link is private and temporary, so be sure to save them to your personal storage. Do you offer any other file types besides MP3 and WAV? Yes. We can export your audio file into several different formats including WMA, OGG, M4A, and FLAC. 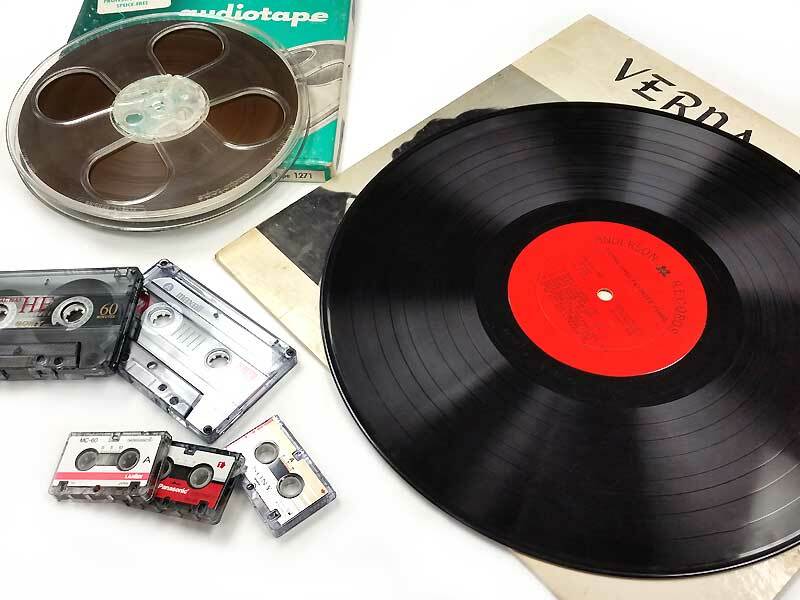 Can you get just the audio from a DVD or video tape? Yes. We can take the audio track from your disc or tape then convert it to a digital audio file. We will clean the audio just like we would an audio cassette. Can you convert a record that I purchased? For copyrighted material, we will convert it but we will only make one copy.